People for the Ethical Treatment of Animals has come out in support of the Seaside Heights borough council’s decision to end the town’s Trap, Neuter, Release program, as the volunteer group behind it has defended its management of the town’s feral cat population, hailing their efforts as a success. “Moreover, roaming cats terrorize and kill birds and other wildlife who are already struggling with habitat destruction and environmental degradation,” the letter, signed by Teresa Chagrin, PETA Animal Care and Control Specialist, said. For members of the Seaside Heights Animal Welfare Organization, the letter came as a blow. Before the letter was received, a Shorebeat reporter interviewed Lisa Franciosi, a Seaside Heights resident who is president of the group. 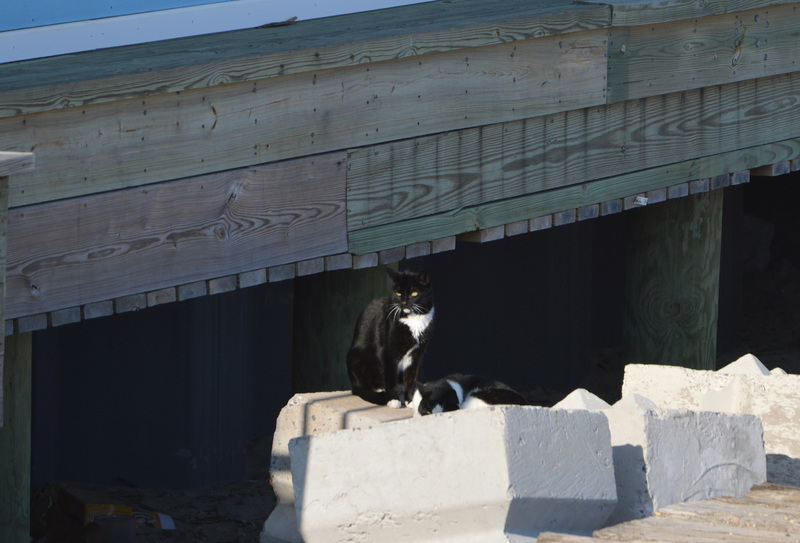 Franciosi said the organization has both spayed and neutered feral cats and has built shelters and feeding stations to ensure their safety and cleanliness to the boardwalk area. She also said the group has never opposed beach replenishment or asked for a “hole” to be placed in the future dunes, as has been rumored. Franciosi did not have a measure of how much the borough’s feral cat population had decreased since the TNR program began in the summer of 2011, but said their efforts of spaying and neutering hundreds of cats is estimated to have prevented 1,600 kittens from being born. In the letter from PETA, Chagrin questioned whether such programs actually reduce feral cat populations. “Several reports suggest that support of ‘managed cat colonies’ may increase the public’s likelihood of abandoning unwanted pets in lieu of more responsible options,” she wrote. The Seaside Heights program, hailed as a success by volunteers, did have a setback after Superstorm Sandy, Franciosi said. Still, she said, the program has not only prevented the population from growing, but has managed the existing population in an organized fashion. 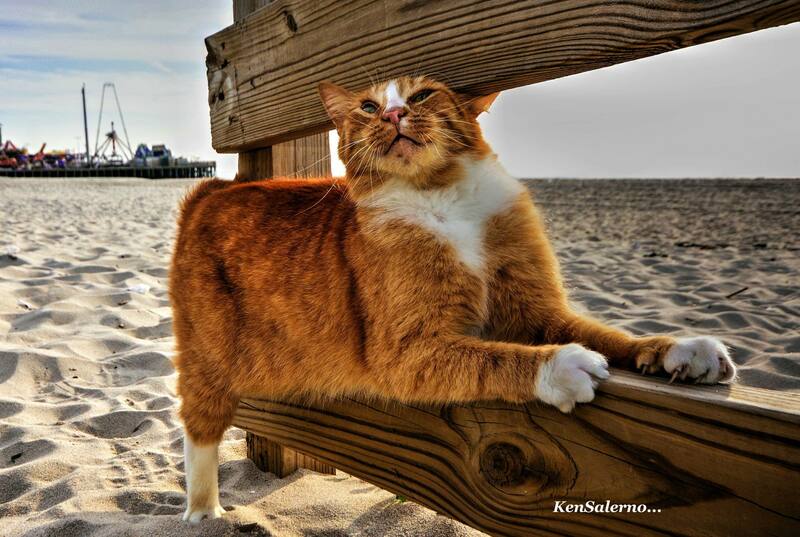 Now that the Seaside Heights Animal Welfare organization has been removed from administration of the TNR program, its members have continued to feed the cats, but have stopped the trappings and sterilizations since it no longer has the authority to do so. Mayor Anthony Vaz reiterated over the weekend that the borough will work to amend its animal ordinance in July to come up with a new plan to reduce the population. The plan will “absolutely not” involve putting down the cats, Vaz said. The Seaside Heights Animal Welfare Organization will not be placed back in charge of the borough’s feral cat reduction efforts, Vaz said. In a separate statement, Christopher Vaz, the borough administrator said the borough will look to partner with a new person and organization to lead whatever plan materializes. “There certainly are members of SHAWO that we can work with, even if we will not work with SHAWO,” he said. There have been numerous plans floated about the future of the cats, including relocating them elsewhere in town. SHAWO members opposed the idea of relocating the cats near Barnegat Bay, since state highway 35 runs along the bayfront, posing a danger. Members of the group have discussed among themselves potential relocation options, if their input is sought. “There will be more discussion about that, at least between us, but I don’t know where we go from here,” said Franciosi.